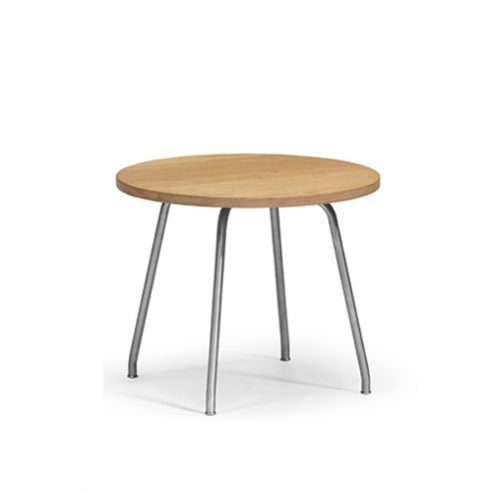 A coffee table supported on a minimalist stainless steel base designed in 1990 by Wegner to his range of chairs mounted on stainless steel frames. Elegant and lightweight yet sturdy, the CH415 coffee table is made of solid oak wood and stainless steel, expressing Wegner’s experimental approach to pairing different materials. perfectly with the CH445 Wing Chair the CH468 Oculus Chair and both the EJ 100 Ox and EJ101 Queen chairs from Erik Jørgensen.